Finding the right Portsmouth schools in the right neighborhood has never been easier. SchoolsK-12.com is a site designed around the needs of a relocating family with school age children. It is a site that allows the family to search public and private Portsmouth schools, but understands that choosing the right Portsmouth neighborhood is equally important to a successful move. 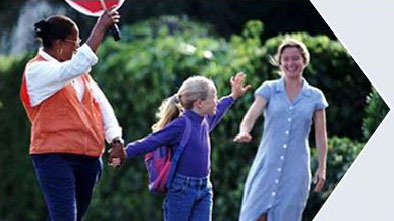 Through a network of local sponsors and experts, Schoolsk-12.com can guide a family through the process of choosing an excellent Portsmouth school located in a great neighborhood taking into account such things as affordability, accessibility to work, to shopping, the traffic patterns and more. Portsmouth schools boast a total student population of 29,808 attending 63 schools in 13 public school districts and 22 private schools. Public school revenue and expenditures vary by school district but Portsmouth public schools spend an average of $7,694 per student each year. Student teacher ratio is an important statistic cluing parents into the probable attention their child might receive individually in a classroom setting. Portsmouth public schools average a student teacher ratio of 12:1. Portsmouth private schools average 7:1. Also, high schools in Portsmouth average a student body population of 688, while Portsmouth middle schools and elementary schools average student body populations of 456 and 368 respectively. More questions about Portsmouth schools? Try "Scooter" our detailed school finder that allows you to match your criteria to the Portsmouth schools that best fit your needs.